The concept of the sabbath is an important one, and not one we probably typically think of very often. I’m not talking about what you can or cannot do on the sabbath, or what exactly are your weekly practices. I’m talking about the big picture of the sabbath, from the beginning of time. Why is the important? The sabbath is where creation is going, it is our trajectory. The world isn’t an endless cycle, it’s a story. And the sabbath is one way to tell this story. The sabbath is the end goal of creation. 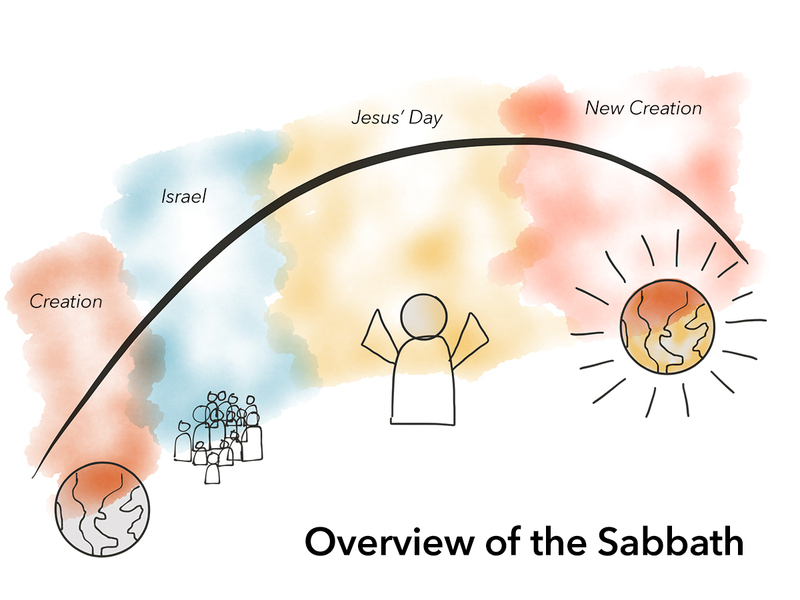 Here is a (very) brief overview of the sabbath story, from Genesis to Revelation.